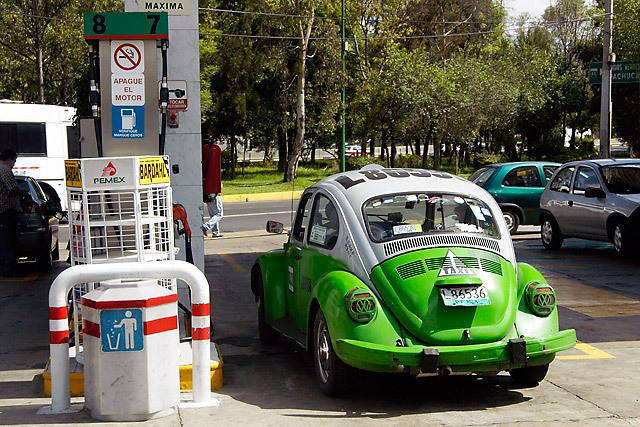 Taxi Gas: I was told by a city local to be wary of these green bug taxis. Mexico City, M�xico. Snapped on: July 23, 2005.